I'm happy to be back here on the blog...I'm hoping to have much to share with you here in 2015. First up, my new sketchbook. For the better part of 10 years I have been keeping a sketchbook. It's always in my purse and when I've got a spare moment I can pull out and doodle away. I am terribly brand loyal and have not used anything but a Moleskine to sketch in for years now. This year I decided to switch it up a bit. 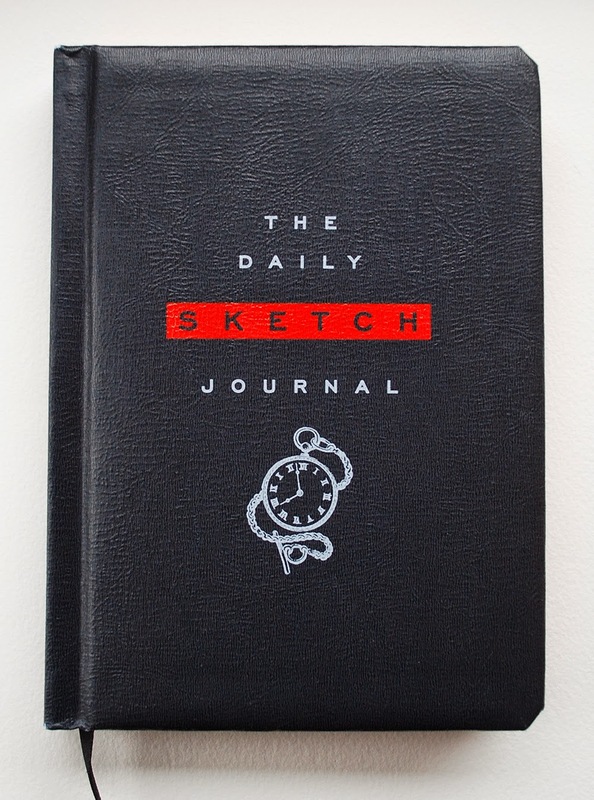 I came across "The Daily Sketch Journal" at the local TJ Maxx. (Love that place! Do you ever dig in the papergoods/craft supply section? It can be a gold mine!) 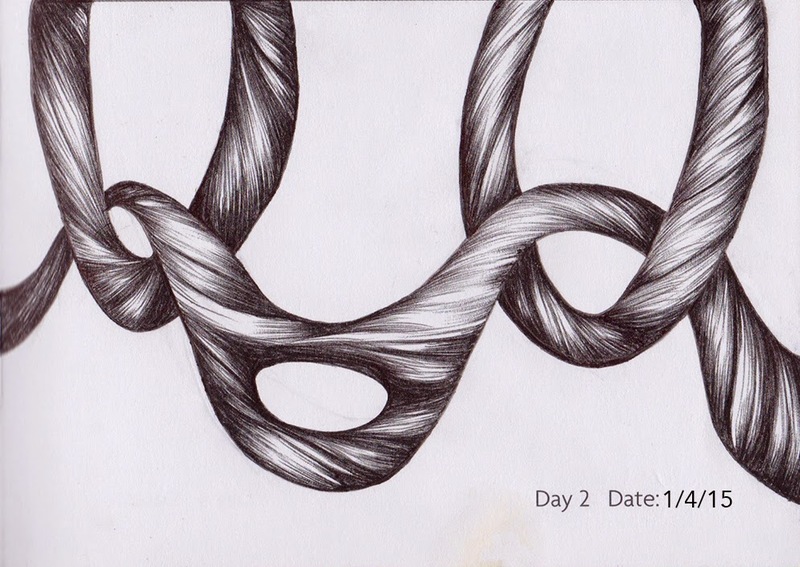 I've been wanting to challenge myself to do a daily drawing project for some time now. This book gave me the impetus to do it...Sort of. 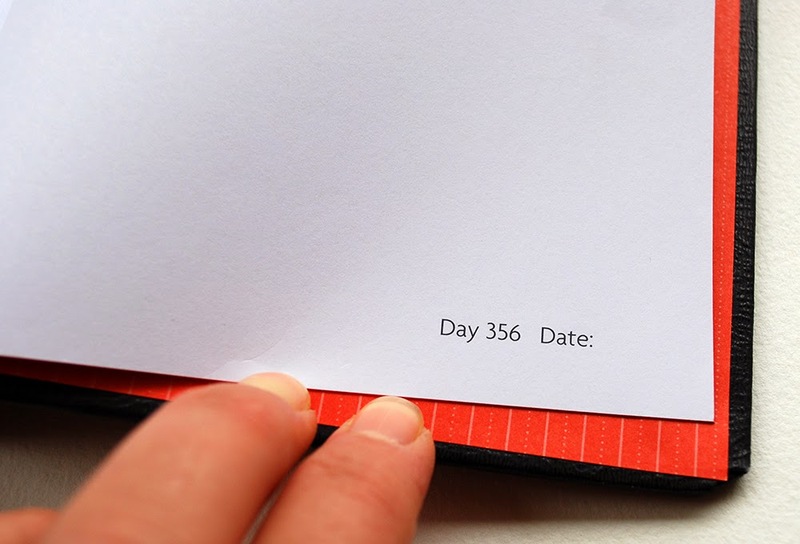 By end of New Year's day 2015, I knew I wasn't going to be able to stick with making a drawing every day. My doodles tend to get complicated, and I can easily spend a few hours on each one. I reckoned that could commit to drawing one every other day. So that's the plan! 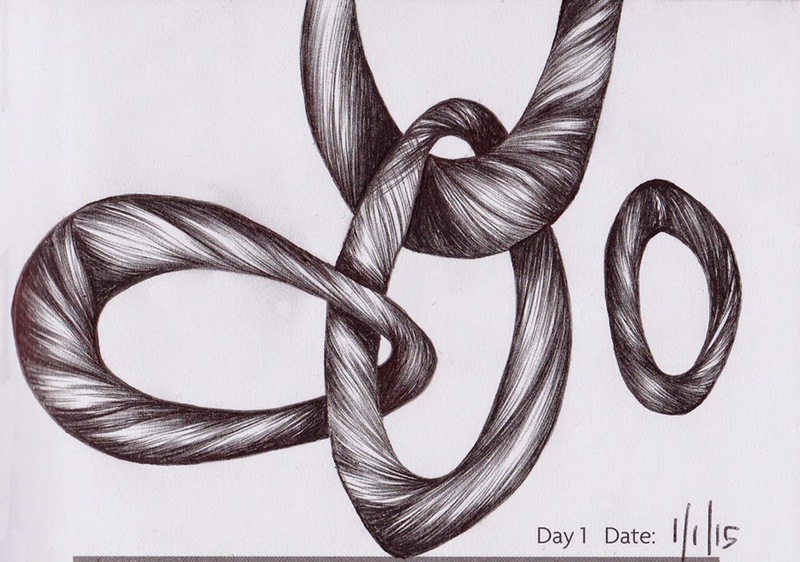 One drawing, every 2 days. Here are my first 2 entries. What do you think? 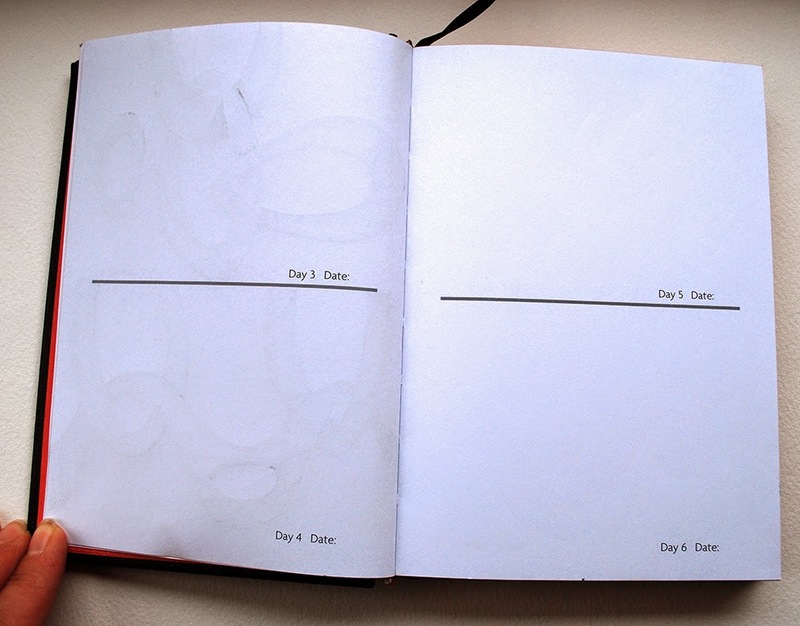 What I like about the "Daily Sketch Journal" is that there are no dates on the pages, just a Day number and a space to write the date. No pressure to draw every day that way. The book actually only has room for 356 drawings anyway, so it's looking like it will take me about 2 years to knock this one out. I really neglected this blog in 2014. Going to try and rectify that in 2015. 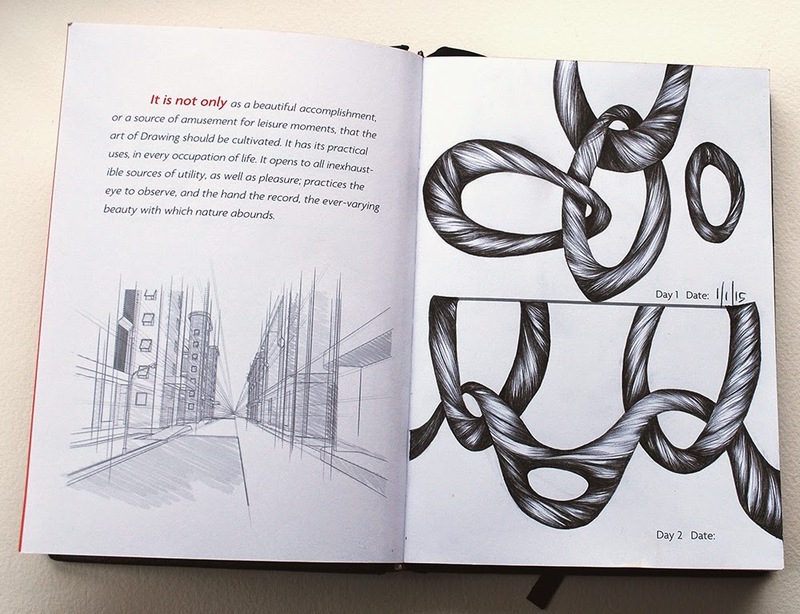 This sketchbook will give me some weekly material to share. Wish me luck. P.S. If you'd like to see more of my sketchbook, do follow me on Instagram. I post there much more frequently than I do here. 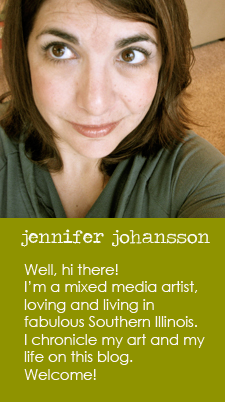 I can totally relate Jen, I struggle with staying creative as well. Thanks for sharing, Carmen. An Artist's Quandary. When is it finished? An Instagram Giveway - HOORAY!